Fun Fact: Ally loves backpacking, although she hasn’t done it as much as she would like to in her adulthood. As a child, she has some very vivid memories of backpacking with her family. Soon, she hopes to get back into it. I was an extremely active child, as I was always playing soccer, swimming, climbing trees, etc. When things slowed down at night my mind wouldn’t…so much so that I was often restless at night and couldn’t sleep. Both to improve my flexibility and lower my risk for injury, my father introduced me to the practice of yoga and taught me to meditate in order to quiet my mind. It worked and allowed me to relax, focus my mind and most importantly, sleep peacefully. 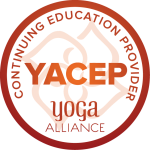 A lifelong yogi, I continued my practice as at an Iyengar studio in South Florida and loved it. After leaving my hometown where all my family and friends live, I was forced to find a new yoga studio. I needed somewhere that felt like home. After trying many other studios in the area, When I walked through the doors at Indigo, I knew I found my home here. About 6 months after joining, I decided to take teacher training. 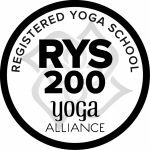 My undergraduate degree is in exercise physiology, and as a personal trainer for 10 years, I found my passion in teaching yoga, too. My 9-5 job is working for Duke Health Technology Systems as a Provider Concierge Specialist. This role is quite an analytical one, so practicing hot yoga challenges my brain to feel, rather than think. When I am not working or practicing hot yoga, you can probably find me in Umstead Park or spending time with my daughter, Koral.